We will be visiting Nov 22-25. Will the new Dance Party be available then? When is this opening? We’re going Oct 1-5 and my son is obsessed with Lion Guard. Will it be open yet? Will Zuka Zama be one of the songs? Hello, no one seems to be offering a definitive answer to the question most people are asking. what does fall mean date wise? there must be some estimate of opening date for this show? Is there a projected opening date for the new Disney Junior yet? Can you verify if the characters will still be out in the animation courtyard in October? Thanks! Since the current traveling Disney Jr Dance party doesn’t close until November 24 and the comment replies mentions the new show at Hollywood Studios won’t start until the traveling show ends- does this mean the new Disney Jr Live will not start until at least December 2018? It doesn’t seem fitting to say “coming this fall if that is the case?!?! Please tell me this will be open 21st-28th Sept. I’ve got a special needs boy and a 2 year old little girl and this would make their holiday…..my lbs already upset the other one will be shut as he was so looking forward to it but he adores Vamperina and the racers. Hello could further define what sort of date later in fall is? I’m travelling over from the UK on the 26/09 until the 17/10 will it be available during those dates at all? if not available will Vampirina be available at the park during those times? We plan to be there Sept 18 – 22 and would like to know if Vampirina will be available to see during our visit? Our little ones would love to see her. We will be visiting Disney for the first time September 22 – 29 and have tickets to the Halloween Party on the 28th. Will the new dance party with Vampirina be available to attend during our trip? If not, will Vampirina be featured at the Halloween Party at all? Will Bingo and Rolly be anywhere in the park? I was hoping they’d be with this show. The merch is so hard to find and it’s my son’s favorite show. Will Vampirina be added to the Disney Jr Breakfast at H&V? Our trip is Oct10-16. Do you anticipate that the dance party will be open then? Julie – The show won’t be available at that time, although you will have opportunities to interact with some favorite Disney Junior characters at character greeting locations outside the theater and during the Play ‘n’ Dine breakfast at Hollywood & Vine. Shawn, in your response to Laure above you said “once the current version closes.” When will it close? We bought park hoppers just to be able to see the show (in July), so I’m worried that was a waste. Julienne – You’ll still have a chance to catch the current show in July. 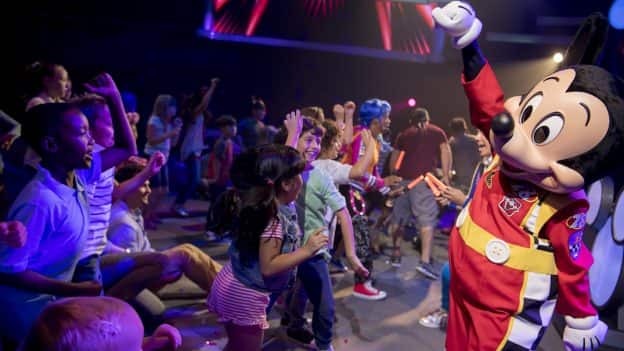 The last performance of “Disney Junior – Live on Stage” will be on September 1. So I just called Disney and this party did not come up on the automative search. So I got a live person on the phone and I was told that the party would be at Magic Kingdom, but on here it says Hollywood Studios, very confusing. I feel like the team was not well educated about this event, which made me wonder if this was legit. I just want to make sure this is legit before I spend $178 on two tickets to a party that doesn’t exist because it would break my daughter’s heart. And can the kids come up on stage and dance with the characters as stated on the FB post? And if they can, dose it cost extra? Will Jake continue to be at the park or at Hollywood & Vine?? My son will be so sad if he does not get to meet his favorite pirate. Hi Shawn, please tell me that Sofia the First will be included in this new show. 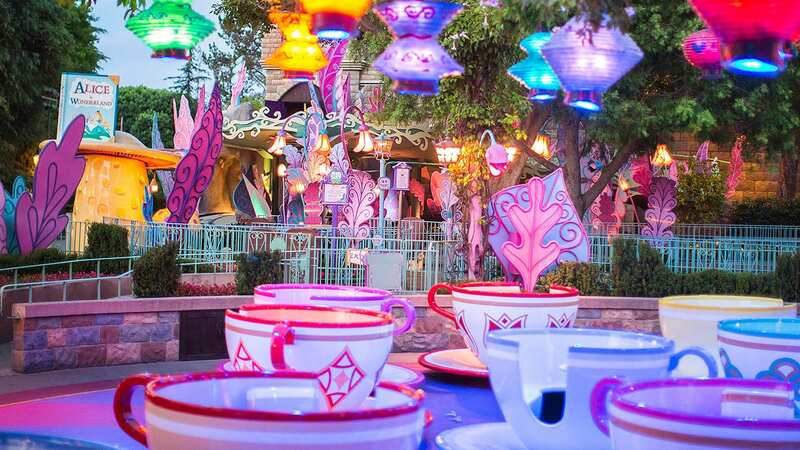 My daughter loves Sofia the First (and fine, daddy is fond of her too), so it would be magical to continue seeing the pint-sized princess from Enchancia at DHS. If she won’t, please tell me she will be elsewhere at WDW (and DLR for that matter)! Dustin – Although Sofia won’t be part of the new show, your daughter will still get to meet her in a special location outside the Disney Junior theater at Disney’s Hollywood Studios. Sofia also participates in the Play ‘n Dine breakfast at Hollywood & Vine along with Jake, Doc McStuffins and Roadster Racer Goofy! Will the new show immediately replace the old one? Or will it just be closed for a bit? We’re coming in early September and I know the new show would be something my son would love. Laura – The two Disney Junior shows are quite different, so once the current version closes, it will take the team a little while to change out the set and rehearse. We expect the new “Disney Junior Dance Party!” to open later in the fall. Will this replace Disney Junior Live on Stage or be in addition to it? Anthony – Yes, ‘Disney Junior – Live on Stage’ will close in early September to make way for this all-new show.